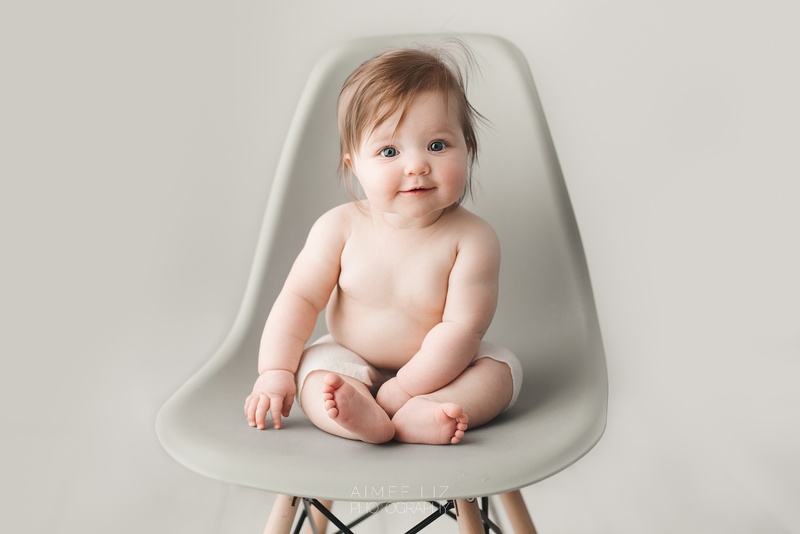 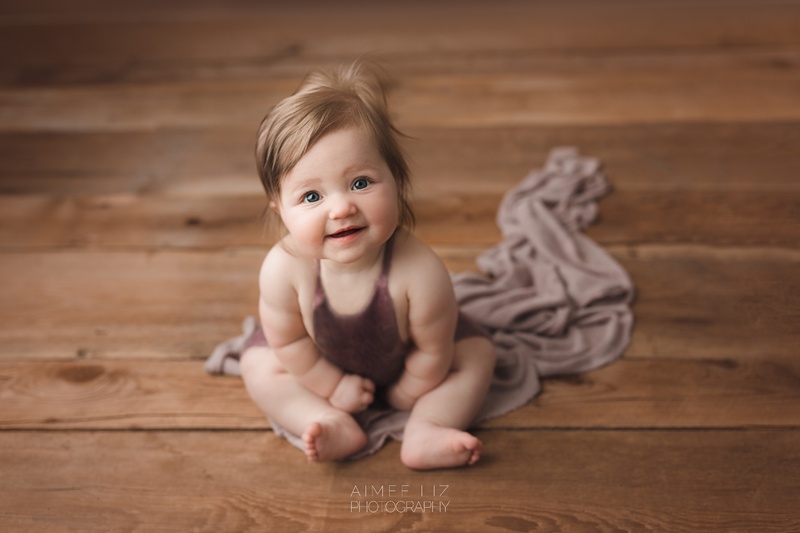 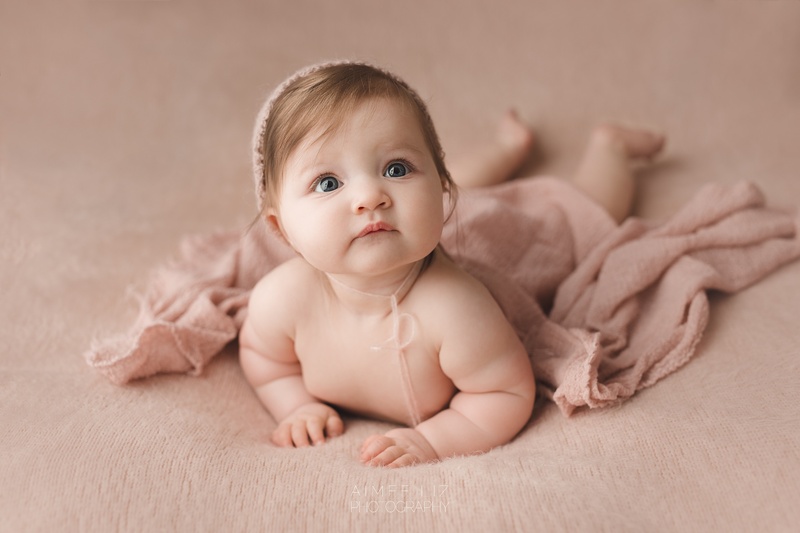 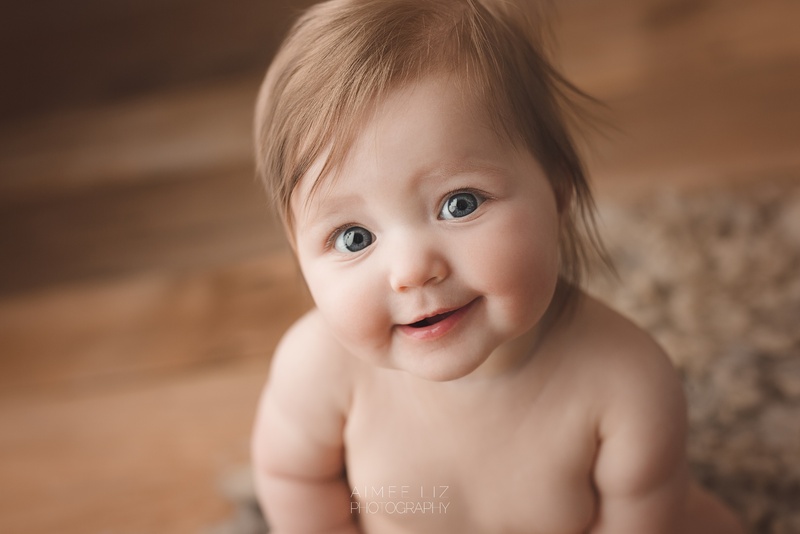 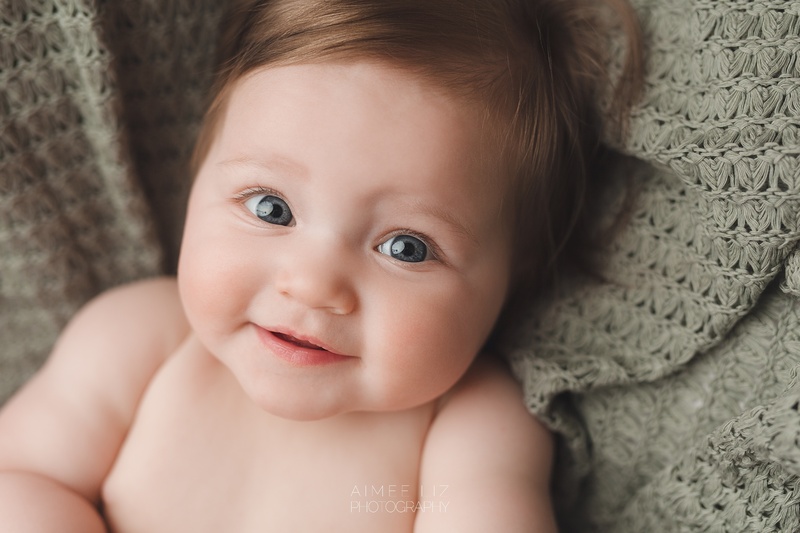 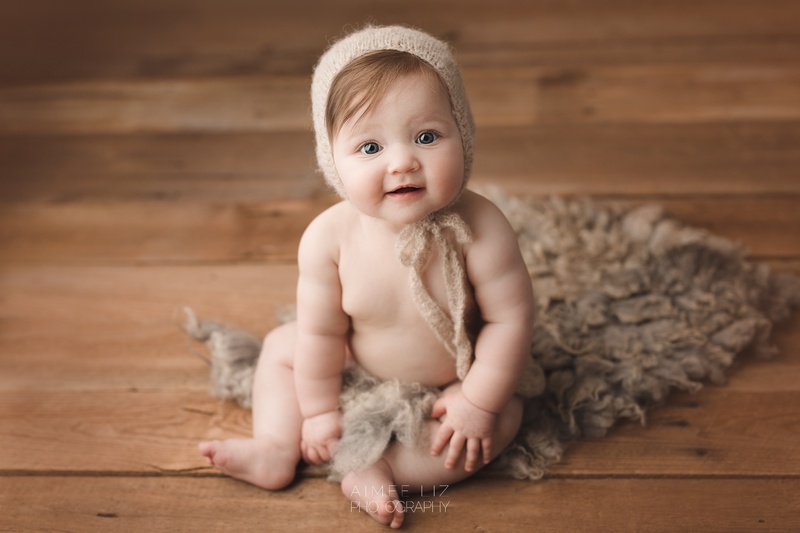 When clients book a newborn session with me, it also includes a free session fee to come back for a 6-9 month studio milestone session when baby starts sitting up. 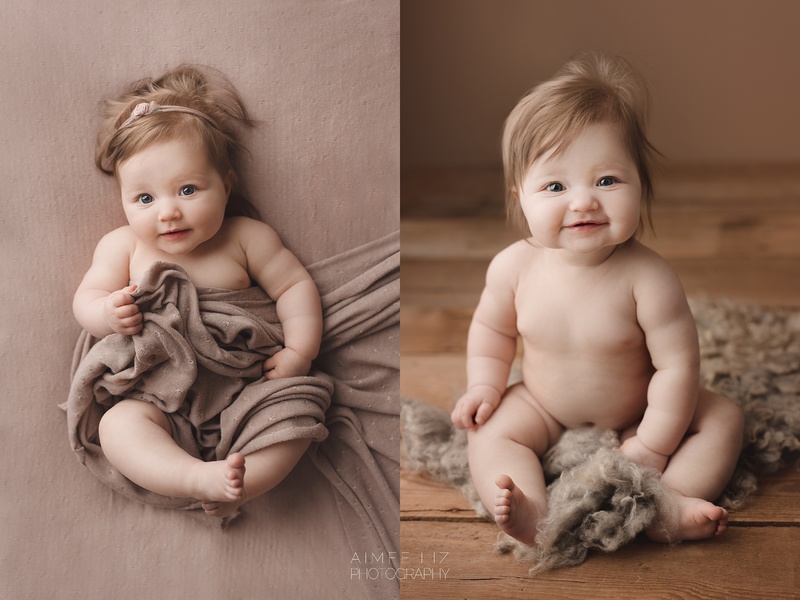 This is a really fun way for me to keep in touch with clients and so amazing to see how fast babies grow in such a short period of time. 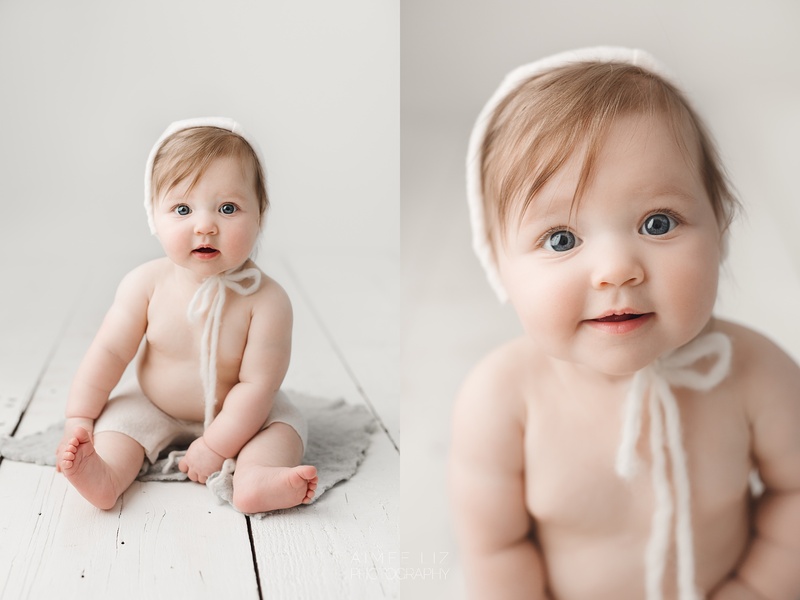 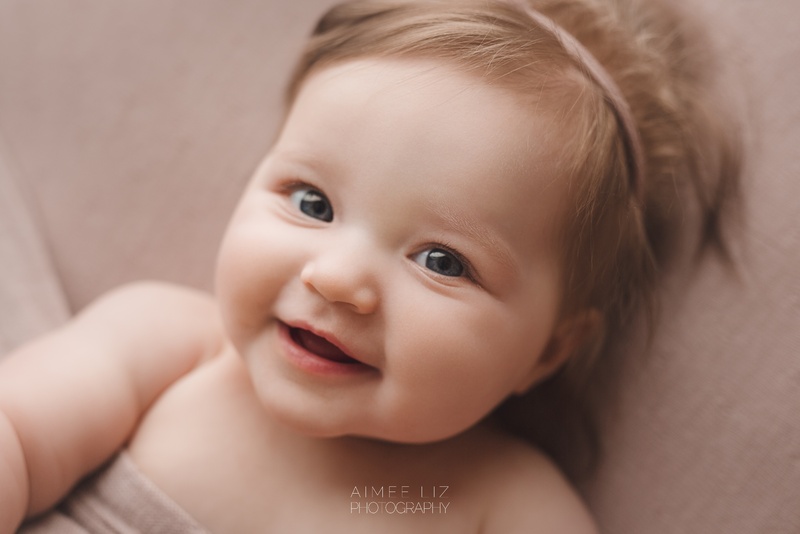 Ava came in for her milestone session full of smiles and chubby rolls!